A petite reversible pendant created in the form of an equal-armed Celtic cross. Each arm of the cross is tipped with a trefoil shape formed of gold, enamel, and one natural pearl. 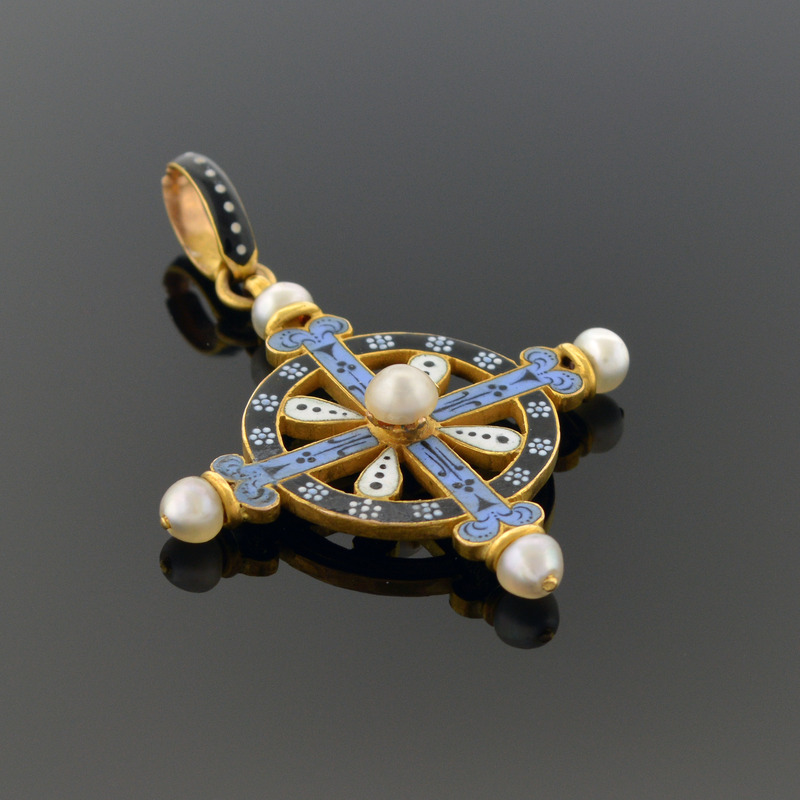 THe front side of the pendant is decorated in pique enamel patterns of black, white, and blue, with an additional natural pearl fitted in the center. The back side of this piece is hand-engraved with black enamel borders.